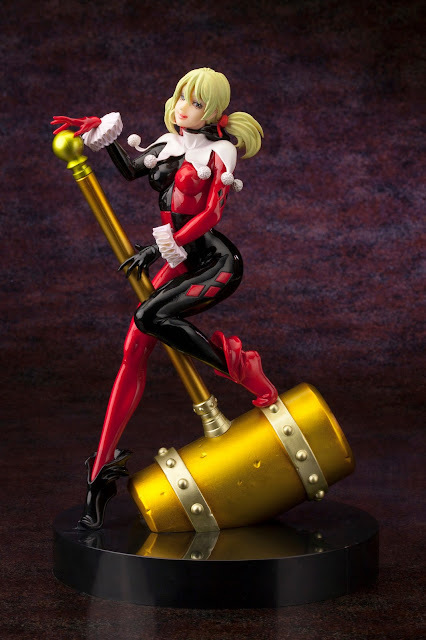 As a unique twist to the fan favorite DC Comics Harley Quinn Bishoujo statue Kotobukiya is excited to announce its 2013 convention exclusive, Harley Quinn Unmasked! 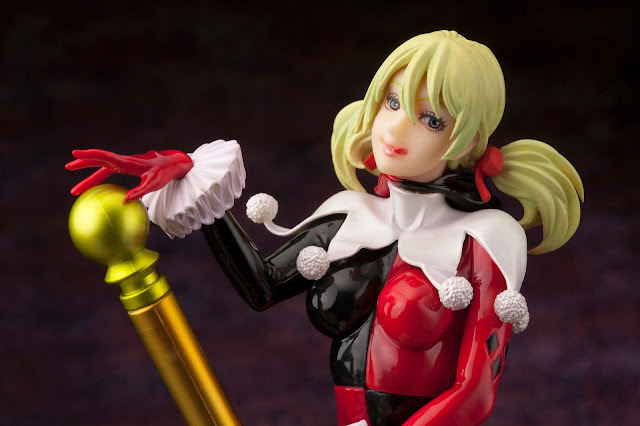 Inspired from an original illustration by Japan’s renowned Shunya Yamashita, Ms. Quinzel is captured in a candidly playful moment (sans her makeup and headgear) in the Japanese Bishoujo (pretty girl) style.Featuring an all-new head sculpt and paint deco this statue is constructed of quality PVC and stands 10 inches tall (in 1/7 scale) on a golden hammer base. 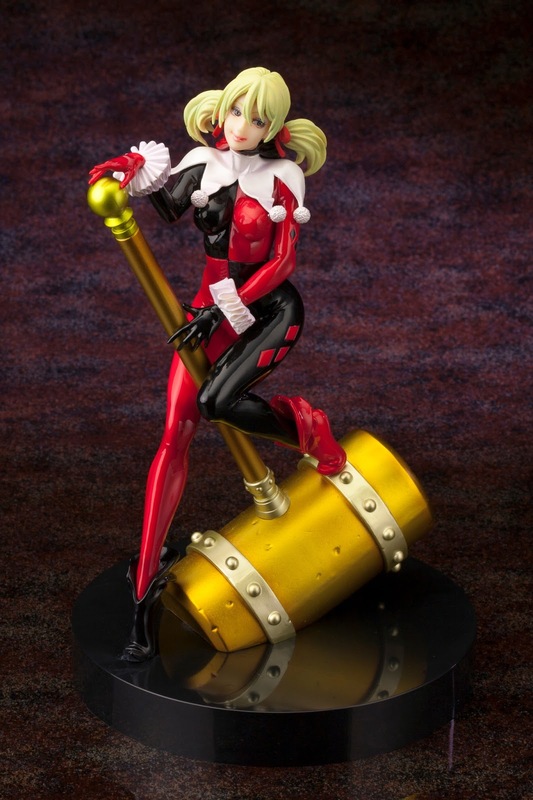 Sculpted by Masahiro “Gill Gill” Takahashi, display Harley Quinn on her own or together with other DC femme fatales like Poison Ivy, Catwoman, and Batgirl! Available for purchase exclusively during SDCC at Kotobukiya booth# 2601 and thru kotous.com this extremely limited release comes from a one-time production run; once she’s gone she’s gone for good! For those not attending SDCC a very limited quantity of the Harley Quinn Unmasked 2013 Convention Exclusive Bishoujo statue will be made available for pre-order on kotous.com beginning at 10AM PST on Monday, July 1st. Limited to one statue per customer. We reserve the right to cancel multiple orders. Pre-order event may end at any time without notification once allocation is sold out. Statues will begin to ship approximately 1 to 2 weeks after Comic-Con. Please be aware we are unable to offer on site pick-up of pre-orders at the Kotobukiya booth during SDCC.